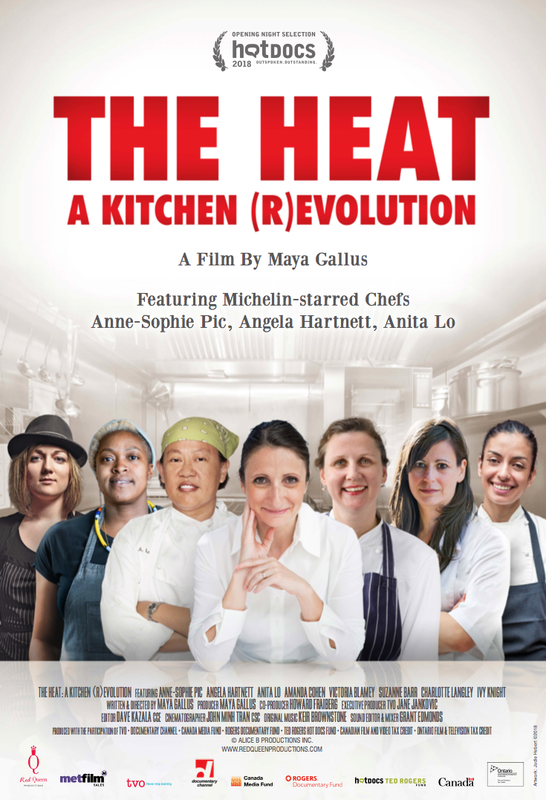 The latest from Toronto filmmaker Maya Gallus, The Heat: A Kitchen (R)evolution focuses on a selection of female chefs in Toronto, New York, London and France who are fighting for equal representation in the restaurant business. The chefs talk about their experiences as women in what is still largely seen as a male-dominated industry, the intense working environment that exists in a kitchen, and the “fratboy culture” that often permeates it and can lead to abuses of power. The great irony that men get the majority of attention in the world of celebrity chefs, despite the fact that many of these guys learned how to cook by watching their mothers prepare food in the kitchen, is also brought up. But The Heat: A Kitchen (R)evolution is short at just over 70 minutes, so its focus feels somewhat limited, and it largely ends up seeming more like a puff piece. The film was made for TVO, and we can tell. While it does have some interesting things to say about what it’s like to be a female chef, and how their experiences both do and don’t differ from their male counterparts, the film feels more like an overview of the subject and doesn’t focus enough on any one of these stories to leave more of an impact. It’s not quite a full meal, but is still fairly satisfying as an appetizer. The Heat: A Kitchen (R)evolution is now playing in limited release at the Hot Docs Ted Rogers Cinema in Toronto, tickets and showtimes can be found right here.